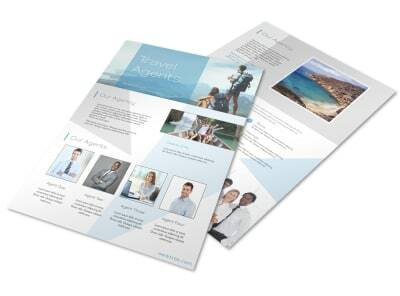 Customize our Meet Our Travel Agent Flyer Template and more! 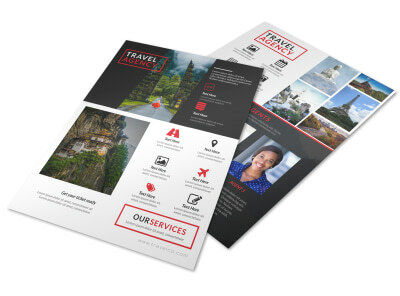 Help potential travelers get to know you better with this customizable flyer to promote your travel agency. 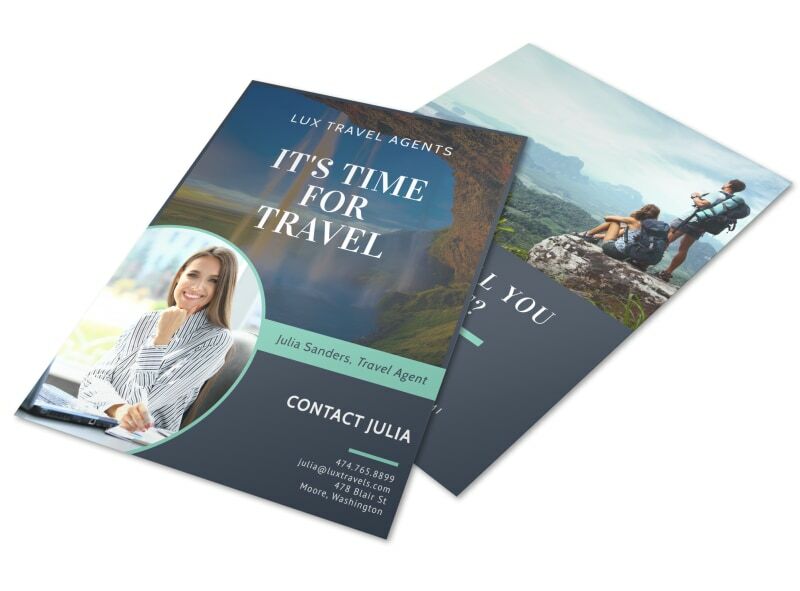 Dress up this handsome flyer with your message, whether it's about you and your staff or some special offer for a discount to a far away locale. 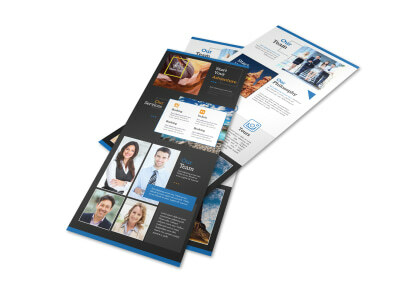 Begin the design process now, and opt for self-printing to get your flyers in hand quickly and efficiently.